iMusafir.pk offers Economy Umrah Packages, Cheap Umrah packages 2018, Budgeted Umrah packages with accommodation and with low price. iMusafir.pk brings you Umrah Value Package 2018 at best price. 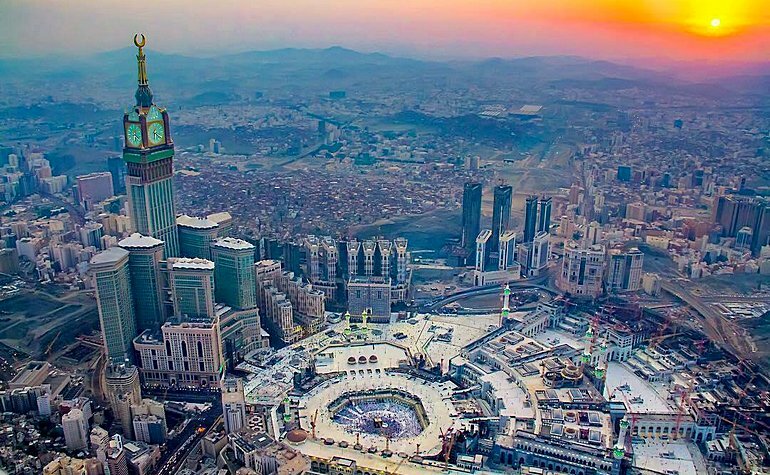 Stay at 4 star hotels in Makkah and Madinah at incredibly low prices along with transport facility and much MORE! · 4 Photographs (4x6 cm) in light blue background. Ladies must cover their head (Hijab). Final hotel check out to be no later than November 30, 2018. Booking Validity is 15 October 2018. *Prices are Per Person On Twin, Triple and Quadruple sharing basis. * Prices are inclusive of additional 5% VAT and 5% Municipality Fee as per Saudi authorities. · Visa processing time will be 12 to 15 working days. · Package rates do not include airline tickets, or any documentation charges. · Children above 10 years or children requiring separate beds will be charged full as adult. · Any Pakistani holding foreign passport required minimum 1-year multiple entry Pakistani visa. · In no circumstances pilgrims will be permissible to stay on their own arrangements. · Single person under 40 years of age will not be entitling for Umrah visa. · Rooms and room price are subject to change / availability. · Package configured on normal view, for Haram/ Kaaba view will be charged extra. · Amendment of any confirmed reservation is subject to availability & charges. · Re-confirmation upon receipt of full Payment before departure. · In case of cancellation of confirmed hotel booking night will be charge as per hotel policy. · No refund will be made for partially utilized or unutilized Services. · We will not be responsible for any delay / objection / rejection of visa by Saudi Consulate. · In case of order cancellation, an amount equal to the hotel booking made for visa application process will be charged from customer as per hotel policy. · Amendment in any confirmed reservation is subject to availability & extra charges.